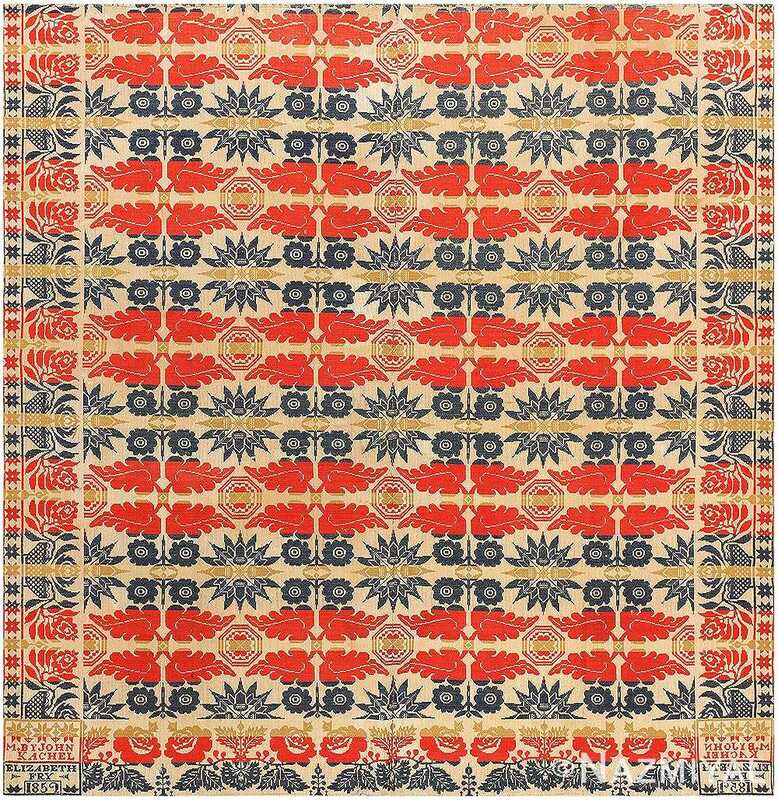 This antique Ingrain carpet, woven in USA, beautifully showcases a foliage repeat design related to American textiles and wallpapers of the late nineteenth century. 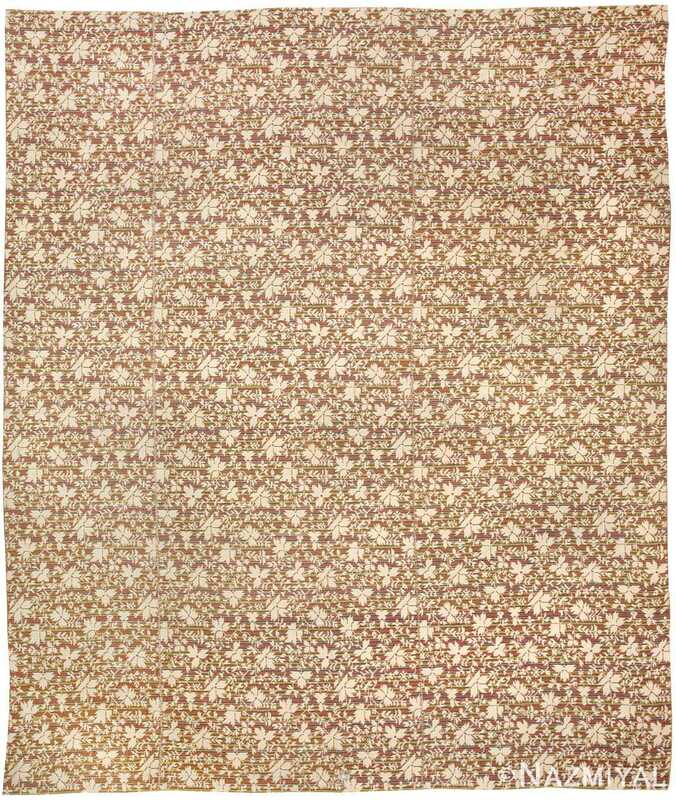 Magnificent Flat Woven American Ingrain Rug, United States of America, Late 19th Century – Here is an exciting and unique antique carpet – an antique USA woven Ingrain flat woven rug that was during the waning years of the nineteenth century. 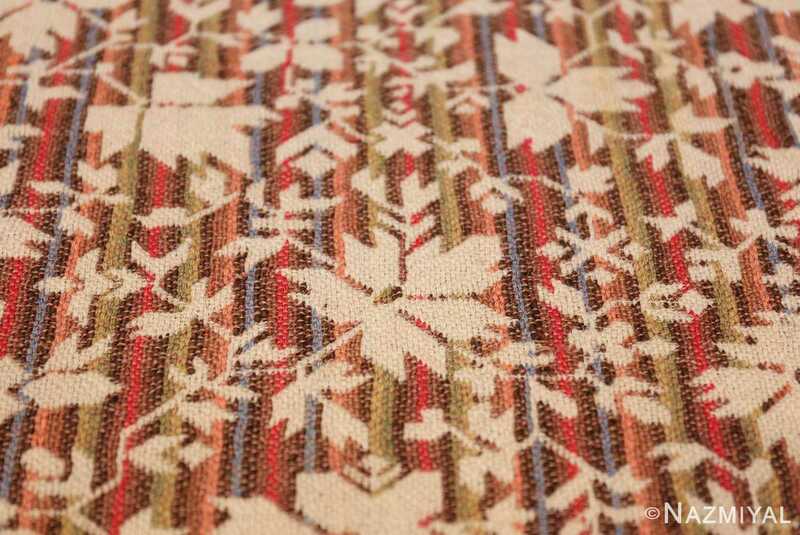 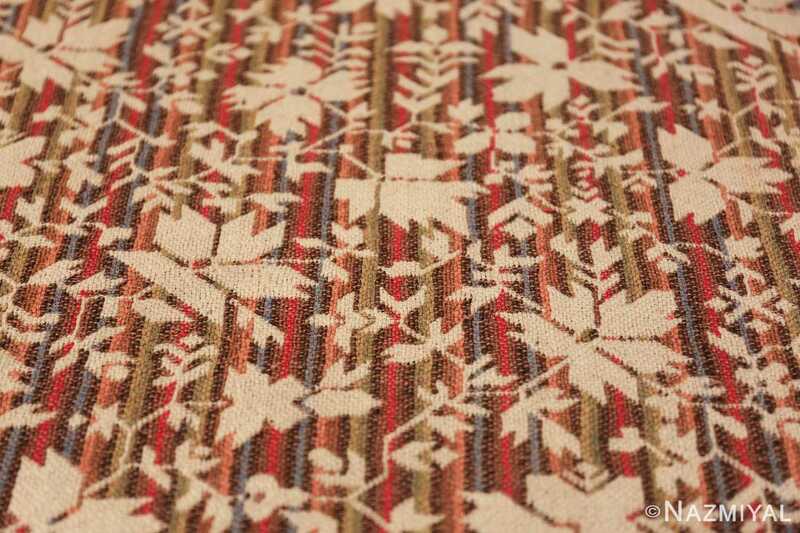 A unique weaving style, Ingrain rugs are among the more distinct and recognizable styles of rugs and carpets to have been woven extensively in the United States. 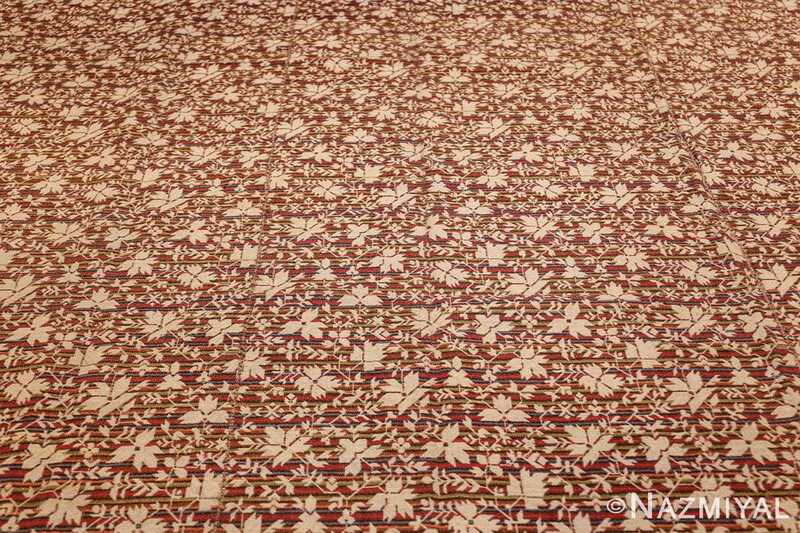 The floral repeat design of this charming antique Ingrain carpet relates more to American textiles and wallpapers of the late nineteenth century than to traditional carpet design. 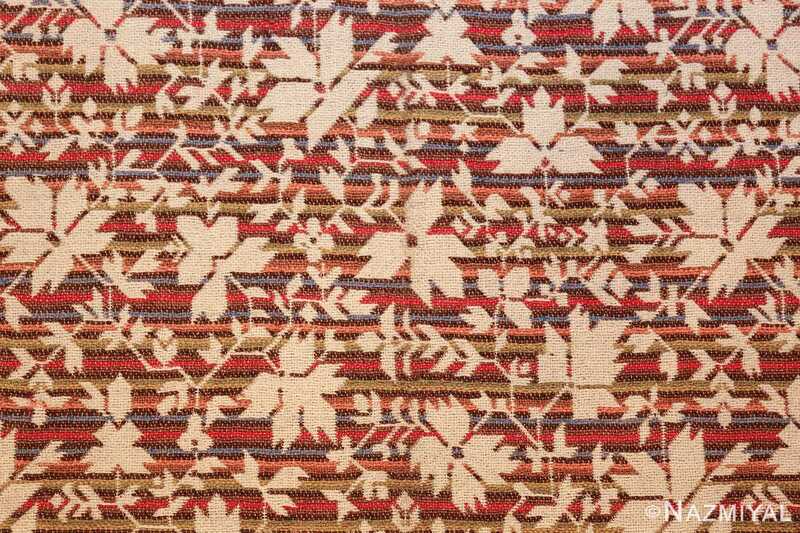 The autumnal palette of leafy floral sprays are highly ordered in their rhythmic repetitions even though they have the appearance of complete freedom or asymmetry. 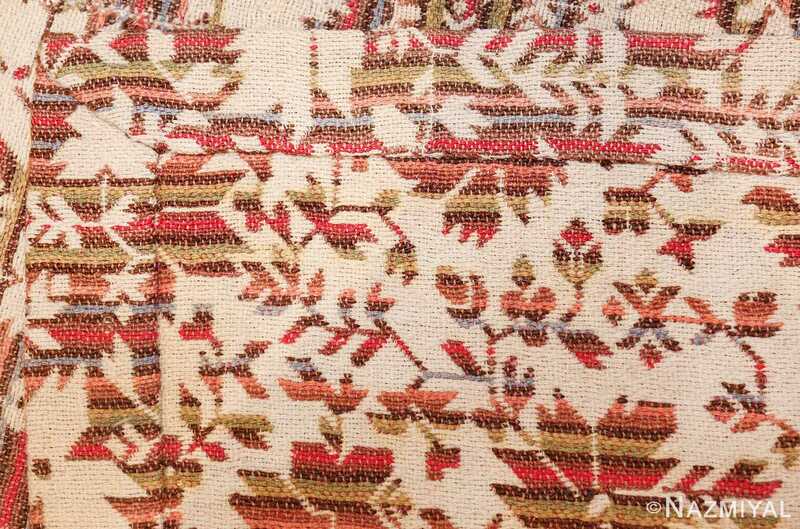 This greatly heightened by the absence of a border, which gives the entire composition a boundless, infinite quality. 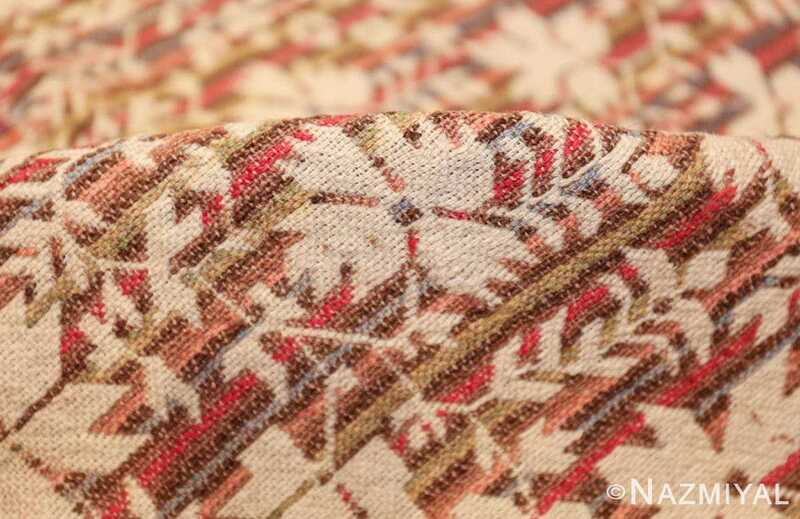 While few rugs can claim to be authentically American, this is certainly one than can. 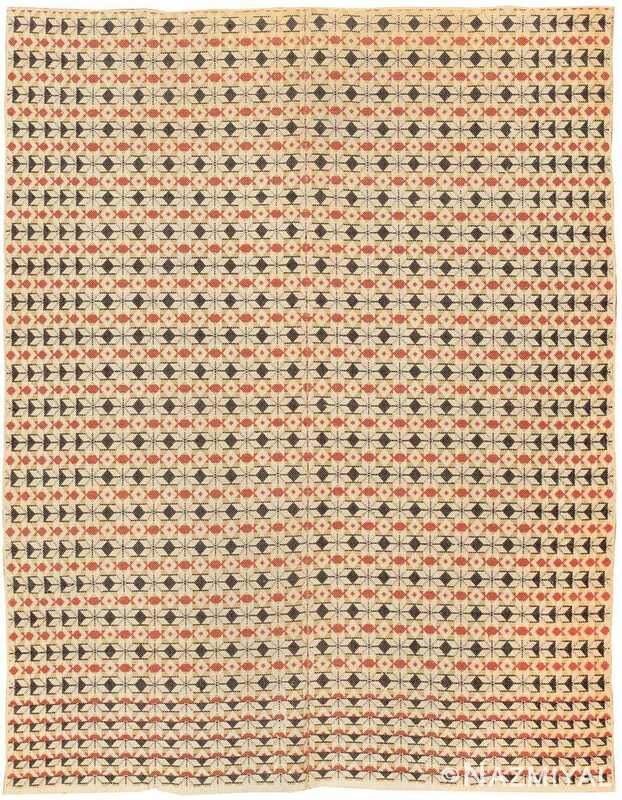 A beautiful example that speaks to a fine weaving tradition while standing strong on its own, this antique American Ingrain rug is a lovely American piece. This exquisite antique Ingrain American carpet boasts an all-over design pattern of segmented, eight-pointed stars extended end to end in all directions. 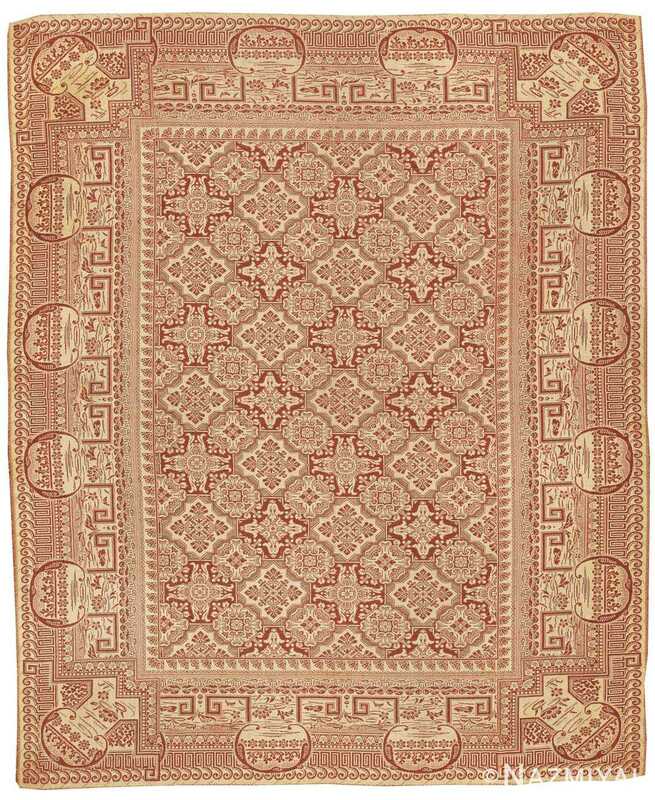 This elegant antique American Ingrain carpet is an eclectic combination of Oriental design and the flatwoven antique Aubusson carpets of France. 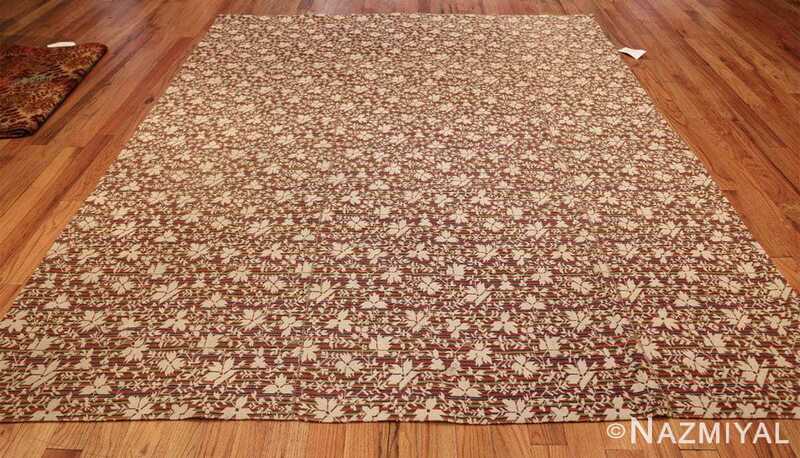 This lovely John Kachel antique American Ingrain carpet has a lovely allover design of leaves, rosettes, and flowers repeating symmetrically across the soft ivory ground.